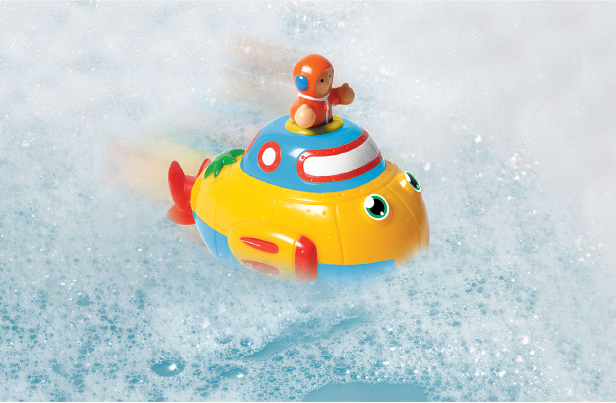 Four fun bath toys for children aged 1 to 5 NO batteries required. Mould resistant. 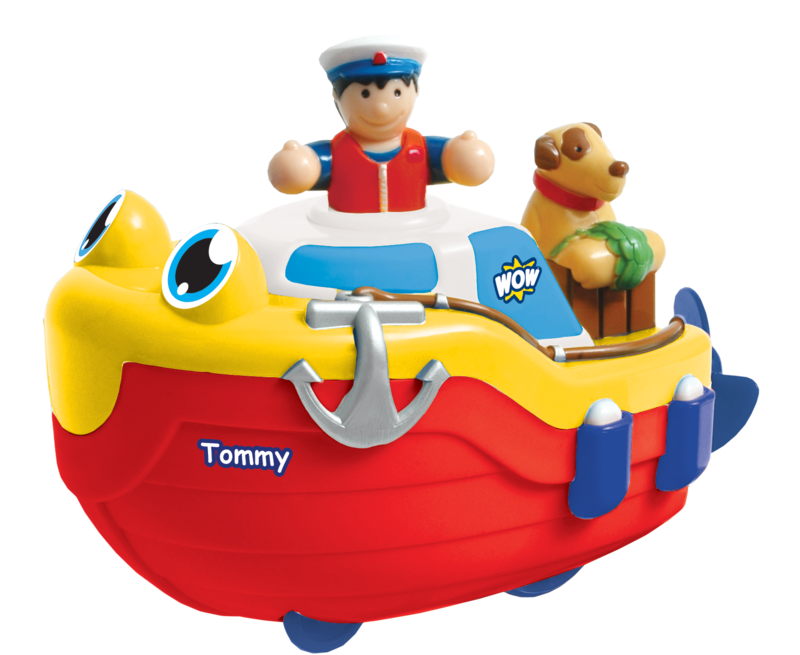 TOMMY TUG BOAT floats just like a real boat! 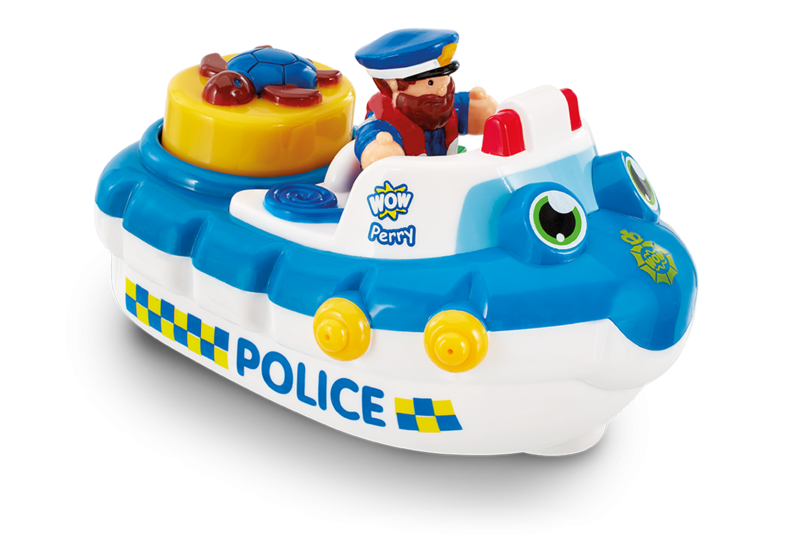 Wind up the attached captain figure, them let him go to watch Tommy's powerful motorised propeller send him speeding through the water. Tommy will provide hours of fun in the bath, but is also equally suited to the floor with wheels for imaginative push along play. Set includes wind up bath boat, captain and dog FELIX FIREBOAT bobs up and down like a real life boat never sinking as he’s played with in the bath. Just squeeze the cute, turtle button to squirt water from the four jets on the side. Bath time has never been so much fun! Felix’s firefighter figure completes this fire rescue set. 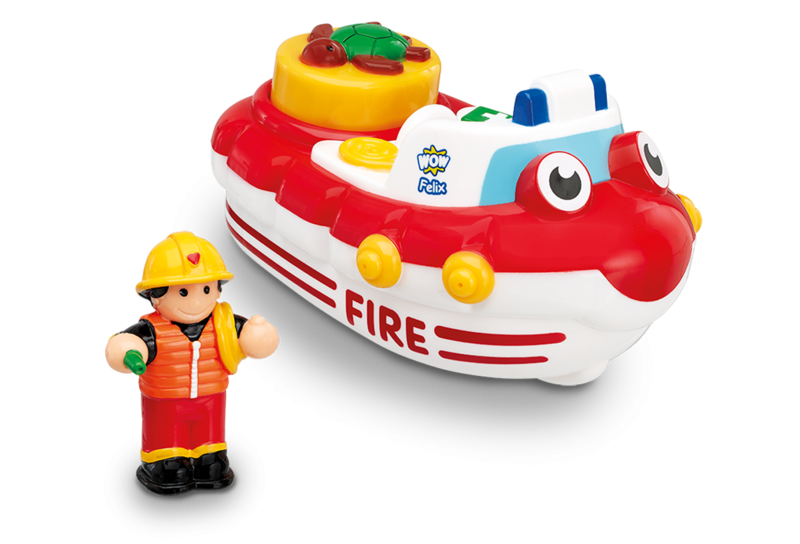 Fireboat Felix is a 2 piece set including 1 bobbing fire rescue boat and 1 figure. SUNNY SUBMARINE - on land or sea wind him up and let him go. Submerge to create bubbles . PERRY POLICE BOAT Just like the real thing, Police Boat Perry floats in the water! You can squeeze the turtle button and water will squirt from the four jets on the side!